Those of you who have ever moved house or flat know how much of a complete and utter pain it is. Two weeks and 182427103 flats later (the exact number right there) and we’ve put a holding fee and offer down for a one bedroom flat a little further out of London (an extra 15 minutes on the bus). It may well be rejected as it’s under the asking price, but we’re still waiting on a response. Fingers Crossed. It’s a lovely newly refurbished flat which even though is only a one bed, is much much bigger than where we live now. There’s even a separate kitchen! Even if it’s a little on the pokey side, I don’t care, at least it’s in a separate room to the living room. It’s still a pain in the bum though; giving offers, negotiating, talking with estate agents, getting screwed over by your current estate agents (grrr)… I hope wherever we find we stay there a bit longer, because I don’t want to go through this again anytime soon! On a separate, more upbeat, note (!) it was my boyfriend’s birthday recently, which gave me an excuse to go baking crazy. 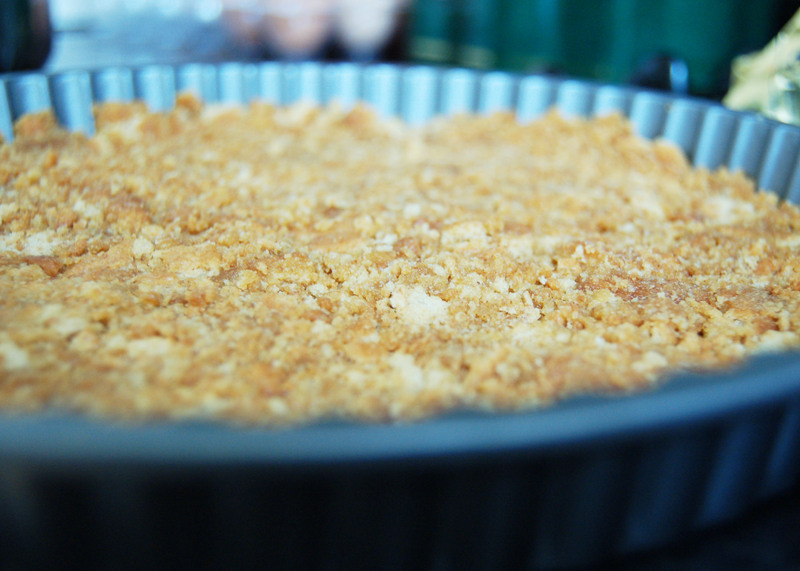 I decided to make him a key lime pie instead of a cake, as he prefers pies rather than cakes. I used to make this recipe all the time, but haven’t now for a good few years. So I decided to whip the recipe out and give it a go. 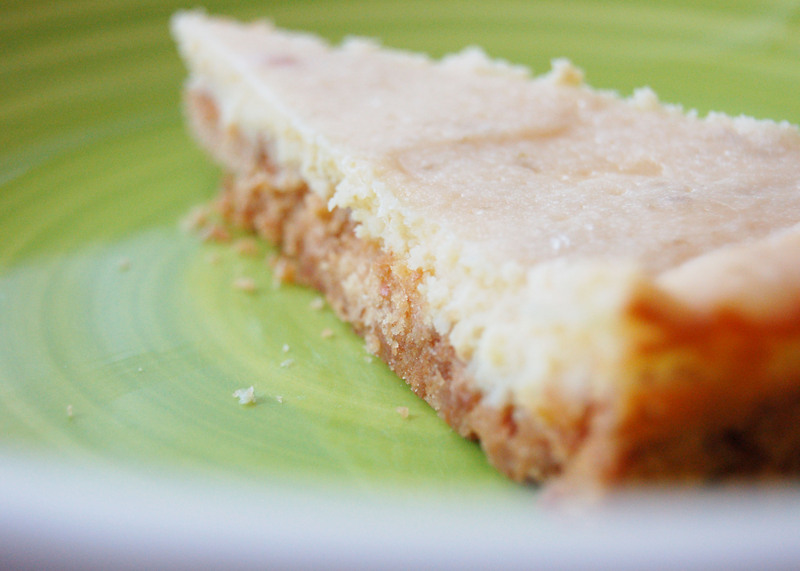 The lime and sweetness of the condensed milk sit perfectly together, it’s magical! 3. When the butter has melted, pour into the crushed biscuits and mix well. 4. 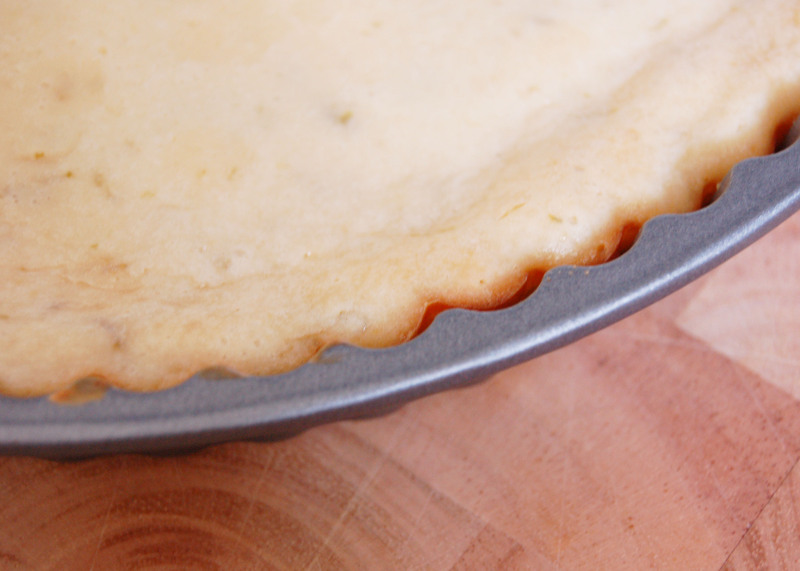 Transfer this into a flan tin and press down evenly and firmly with your fingers and palm of your hands. Make sure it’s packed down tightly. Bake in the centre of the oven for 10 minutes until lightly browned. 5. 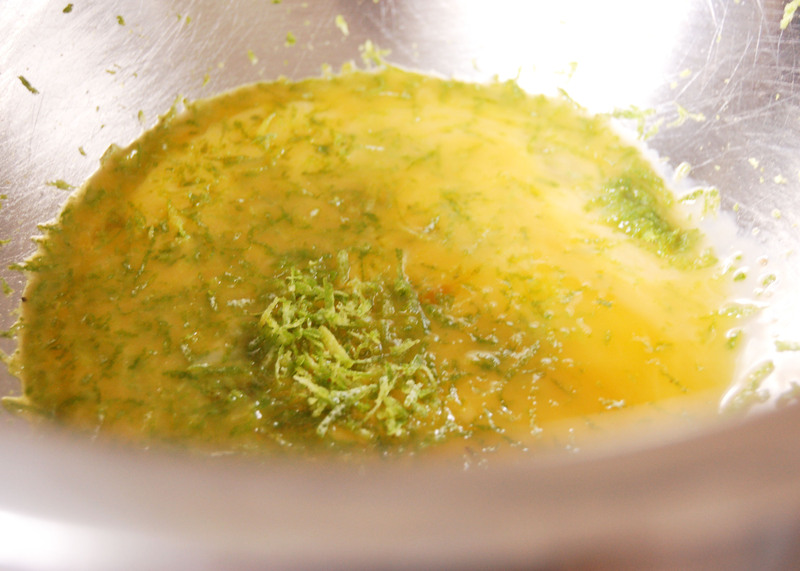 While that’s baking, whisk the egg yolks and lime zest for about 2-3 minutes. Then add the condensed milk and whisk for a further 4 minutes. Finally add the lime juice and whisk it quickly so it’s incorporated. 6. 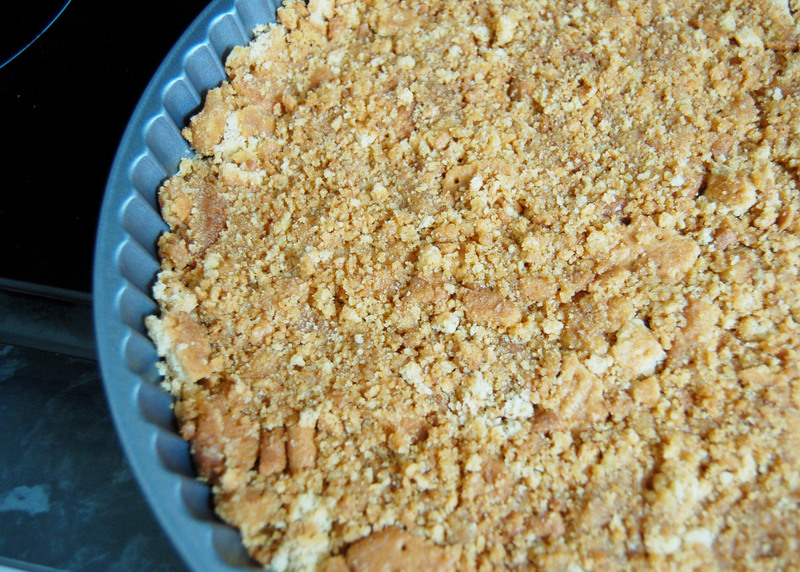 Pour the filling into the flan tin and smooth it with a spoon or knife so it’s flat and covering the base. 7. 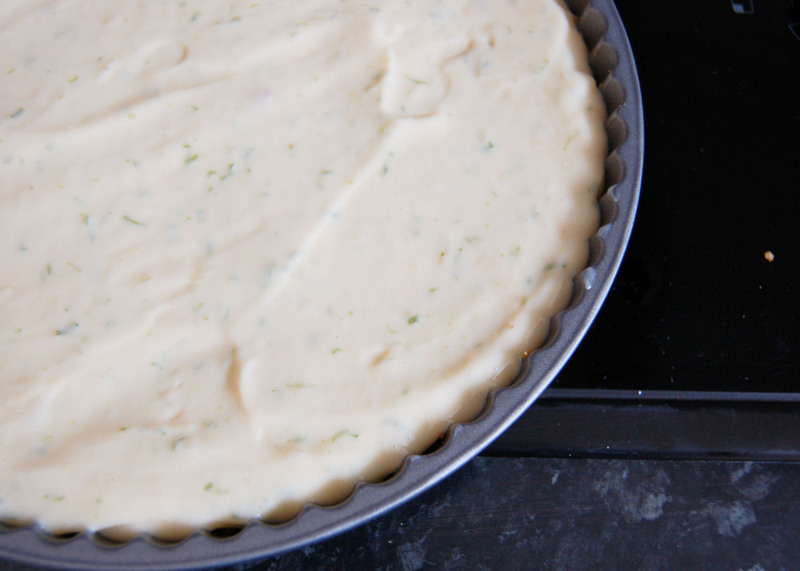 Bake in the oven for 20 minutes until it’s just set (test by pressing your finger on the filling) and serve when completely chilled. *Each person has their own method to crush biscuits, but I prefer to put them in a big mixing bowl and pound them with the end of a rolling pin. 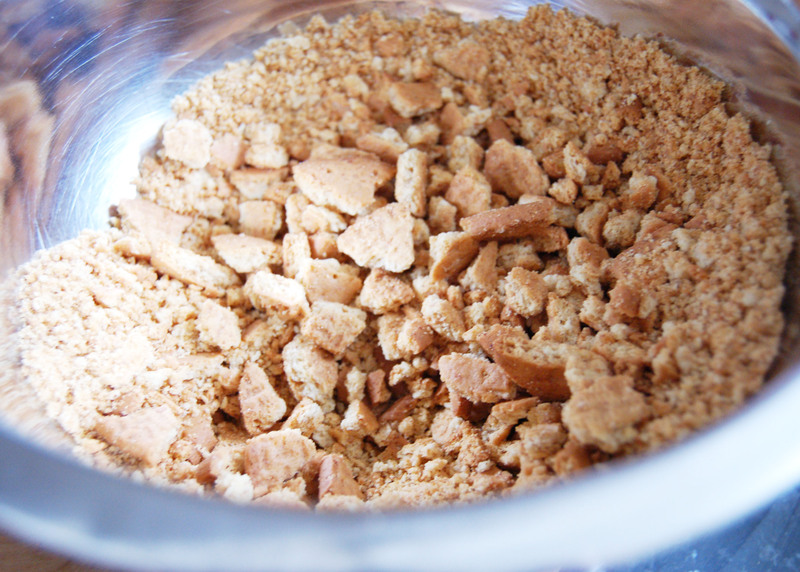 This leaves fine crumbs with bigger crunchy chunks. I just had some of this type of pie in a restaurant and it was delicious and so refreshing. This may be a sign I need to make it for myself. Mmmm.. this looks divine! 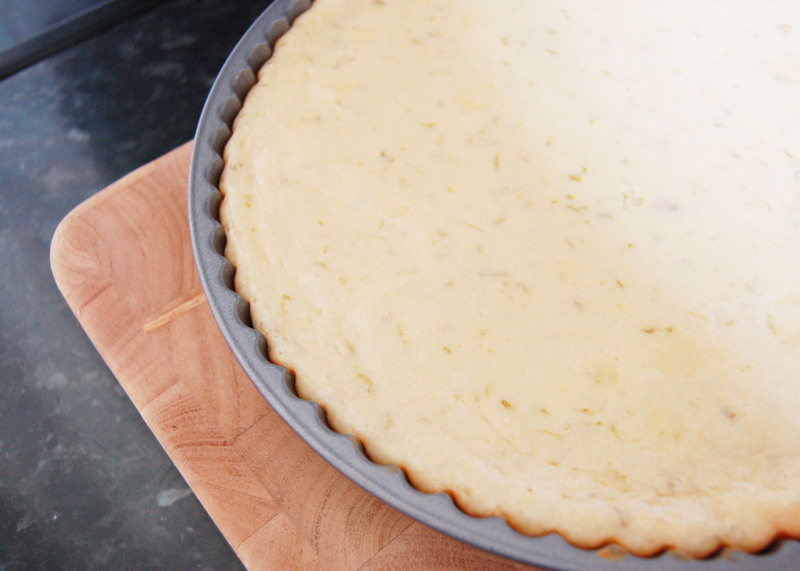 I’ve never made key lime pie, but I’ve always been curious to try…maybe this weekend! 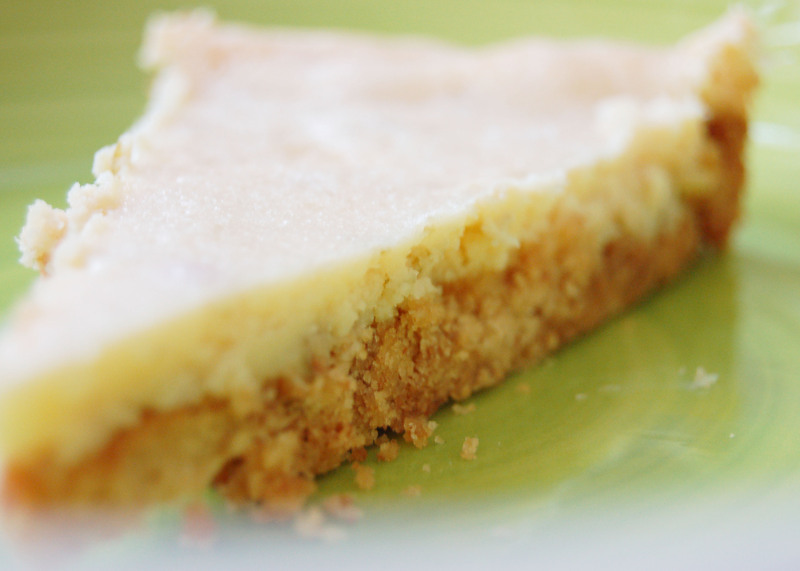 I am seriously craving a slice of key lime pie right now!